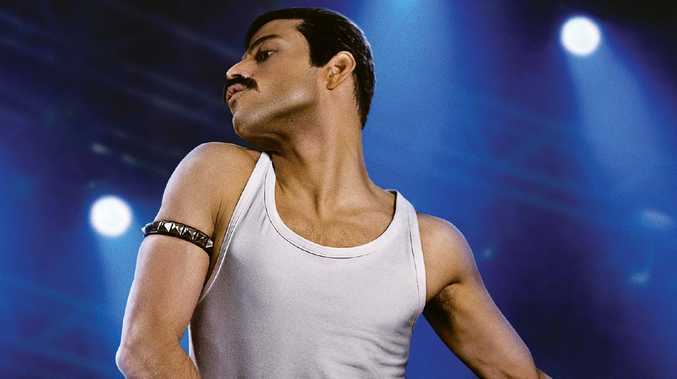 RAMI Malek has opened up about the extreme lengths he went to for his role as Freddie Mercury in the soon to be released movie about Queen. Bohemian Rhapsody, which comes out on November 1, traces the meteoric rise of the band through their iconic songs, offering an intimate exploration of the inner workings of Queen from the earliest days to arguably the greatest live performance in history at Live Aid in 1985. Malek told news.com.au they filmed the Live Aid sequence first which he prepared for by watching the band's actual performance on YouTube "probably somewhere around 1500 times, maybe more". "That's something we tried to get move for move, even just gesture for gesture perfectly," he said. "Every day we did (filmed) a song. Day one, Bohemian. Day two, Radio Gaga. Day three, Hammer To Fall and the Day-O. Four we did Crazy Little Thing Called Love. Five, We Will Rock You and We Are The Champions and on the sixth day we rested," he joked. "Then we did the entire show which was the most phenomenal experience one could ever ask for," Malek told news.com.au. "Adrenaline high like you don't even know man." 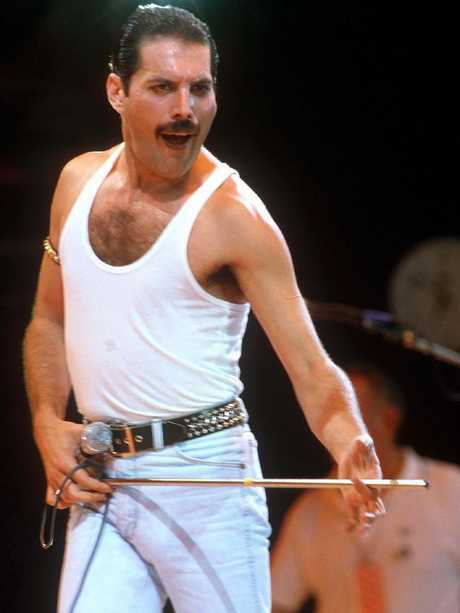 The actor, 37, had a recording of the actual performance on set with him at all times during the Live Aid sequence which he used for back-up every now and then. "It felt like I had it in my bones and I didn't want to keep going back to it," he said about the footage. "It felt like sometimes you would lose a little bit of the authenticity if you tried to nail it so perfectly. Things won't exactly always match up, there might be a hint of something that's off, but I think that kept it feeling really alive and in the moment and it was better to sacrifice it that way, but yeah, I was watching it non-stop." 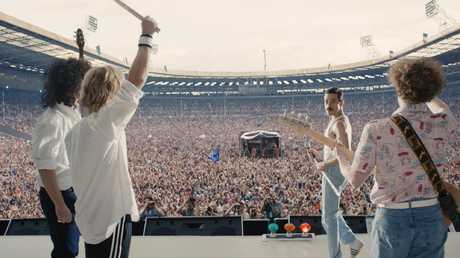 Filming the Live Aid performance was "pretty daunting", Malek said, but he added that it gave them a "shorthand" for the rest of the film. "We felt like, 'OK, now that we have that in the bag we can do this, we'll be all right,'" he said. 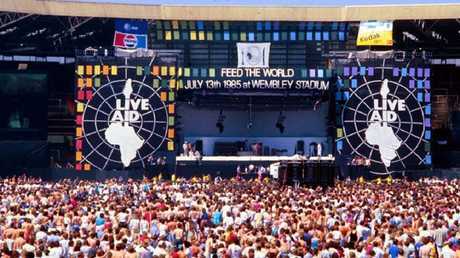 A photo from the actual Live Aid gig at Wembley Stadium in 1985. 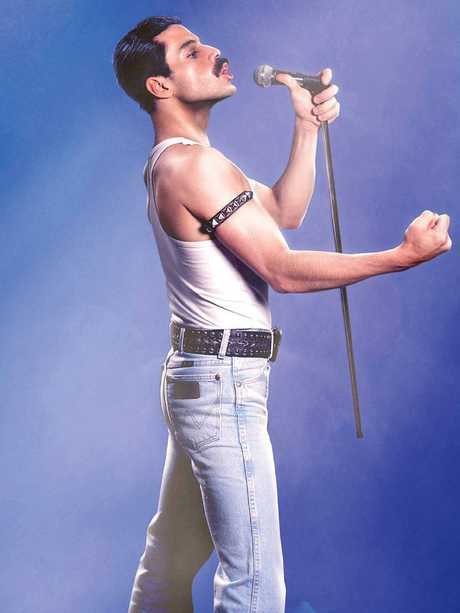 In the film, Malek is beyond convincing as Freddie Mercury, the flamboyant entertainer who died from AIDS-related pneumonia in 1991. Even before shooting began, he asked the costume designer to create a set of false teeth that looked just like Mercury's and he carried them with him wherever he went. "Every night I would get home and I would knock those suckers in and watch as much Mercury footage as I could find," he told Fox News. Malek's commitment to the role was matched by the production staff who went above and beyond to make everything in the film as authentic as possible. 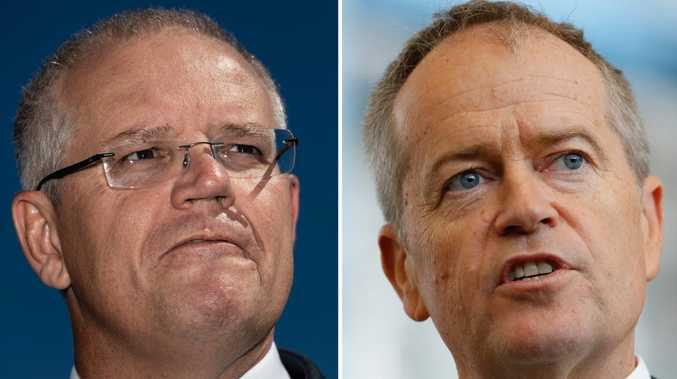 "We tried to replicate so many things that he did have," Malek told news.com.au. "All the costumes, his kimonos - some of those we had reprinted. "The level of authenticity and recreating all things Freddie Mercury was at a perfect 10." The highly anticipated movie will be released in three weeks and when asked what people should keep an eye out for when they go and see it, Malek smiled and said, "Keep an eye out for Mike Myers."